How much does it cost to invest in a sand factory? What equipment need to buy? Question: How much does it cost to invest in a sand factory? What equipment need to buy? Detail: I want to invest in a sand factory, which kind of equipment need to buy, and how much will it cost? From the outlook of aggregate demand, undoubtedly, investing in a sand factory is profitable project. The major expenditure are the cost of certificates, venues, manual labor, equipment, as well as the raw materials and so on. 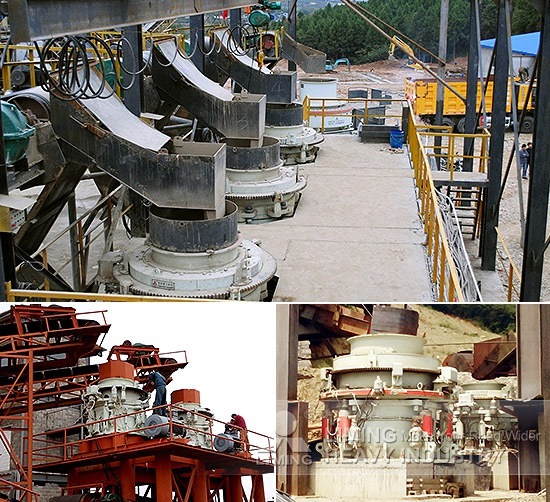 The main equipment involved in investing a sand factory include vibrating feeder, belt conveyor, jaw crusher, impact crusher or cone crusher, vertical shaft impact crusher, vibrating screen, sand washing machine, etc.. The configuration of production line will vary according to the nature of different materials. Take granite for instance, it’s hard to crush, so we will configure HPT cone crusher, which is specialized in crushing high hardness material. We will design the proper production line according to customers' material and specific requirement. You can contact our 24-hours online service, there will be professional engineers design production line for you, and according to their configuration, they will provide you an accurate quote. <<Previous：The processed material is granite, the production capacity is 300-500 ton an hour, send price to me! <<Next：Please introduce some grinding mills whose product fineness can be controlled between 600~1200 mesh?